Form spam has always been a huge issue with Shopify users. 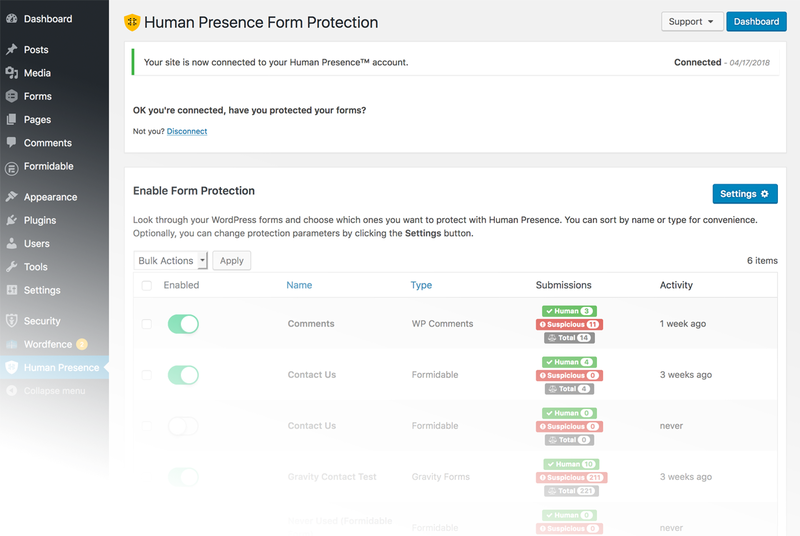 We've developed a powerful, cost-effective add-on for Shopify, Shop Protector™, which utilizes our Human Presence technology to protect all of your forms from spam attacks. Whether it’s a contact form, account-registration form, or even a simple newsletter sign-up, we’ve got you covered! It’s easy to use and only takes a few minutes to set up! Take it for a test drive by signing up today for a free 14-day trial and see the power of Shop Protector™ and how it help you dispel malicious spam from your Shopify site. 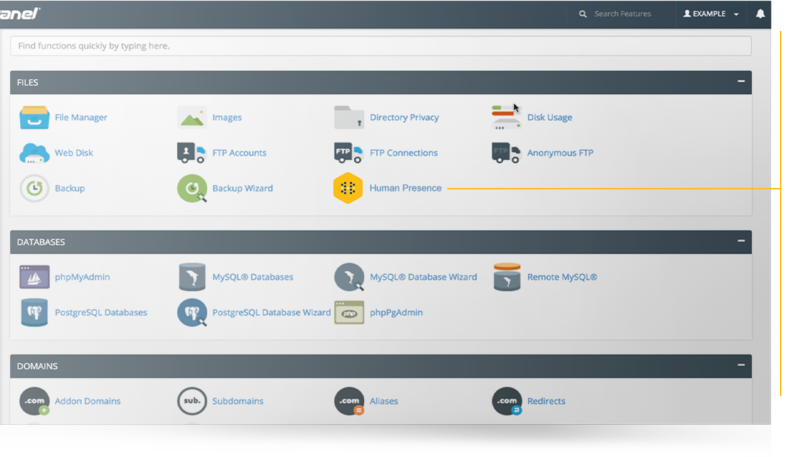 Human Presence can be administered directly from your cPanel control center. 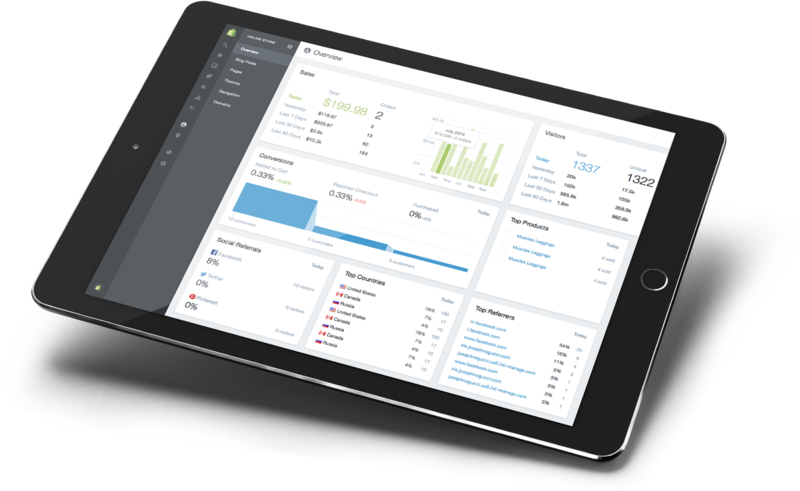 Protect your site(s) from malicious threats with access to all features and bot-routing controls which puts you back in the driver's seat. Spam form submissions and bogus comment creation has plagued Wordpress administrators since inception. It's never been easier to combat these elusive bot threats for Wordpress users.